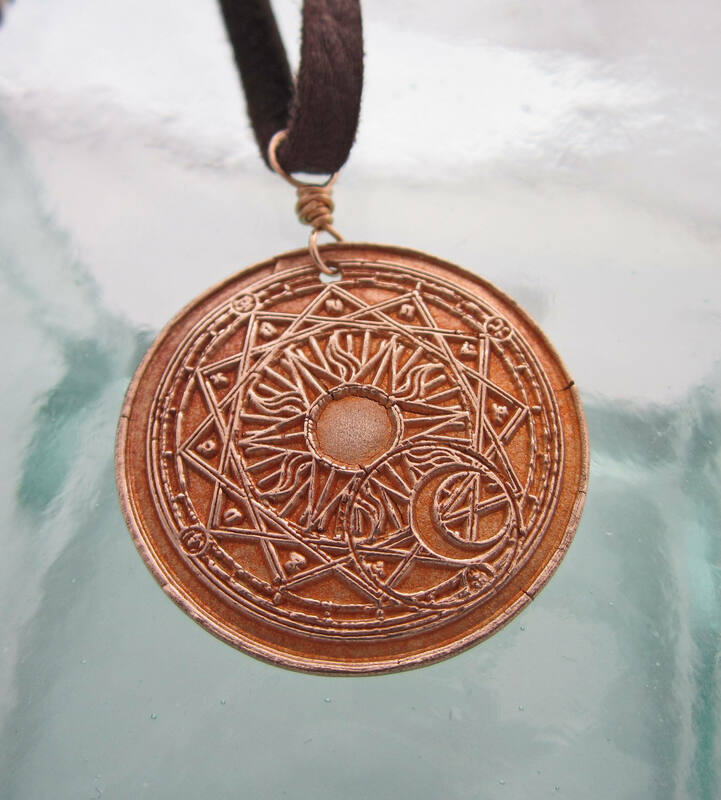 This handcrafted bronze solstice necklace features a compass-like sun and moon design which has been polished to a warm glow. the pendant measures approx 1 1/16" in diameter and hangs approx 1 5/16" from the top of the wire wrapped bale to the bottom of the pendant. 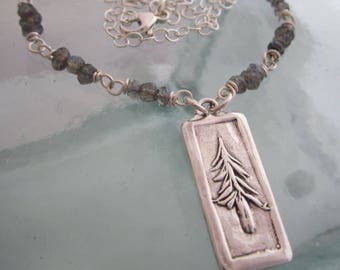 The pendant is on a soft flat leather necklace which you can wear up to 22" in length. The length adjusts by sliding the bronze bead on the ends of the leather, and will adjust to any length shorter than 22".